He tops a European-wide ranking that has Barcelona’s Lionel Messi in fifth and Tottenham Hotspur’s Christian Eriksen in seventh – a tribute to both their importance to their teams as well as their ability to stay injury free. 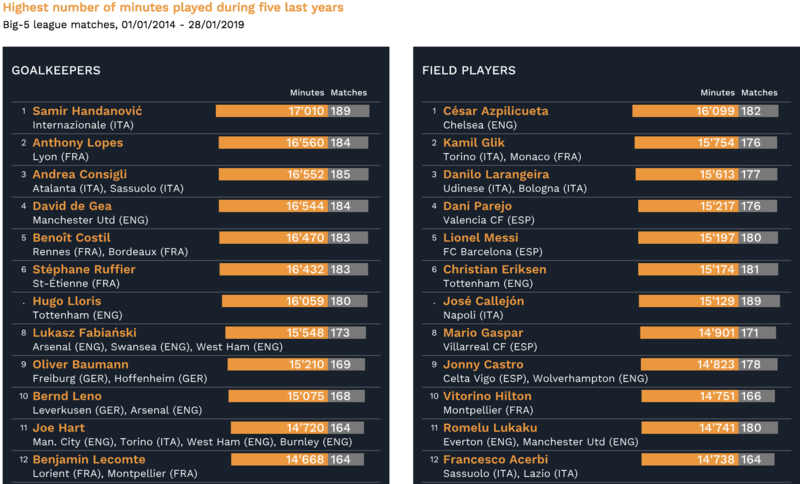 The data, compiled by the CIES Football Observatory, splits goalkeepers out from outfield players and takes into account all the clubs a player has appeared for. To get into the top 10 lists a player would have to played over 165 games over the five seasons. Ranking leaders played 178 games and above. “Only ten goalkeepers in the top 25 list have been in the same club during the last five years. This is the same proportion as that observed among outfield footballers. Conversely, Joe Hart played for four different big-5 league teams over this period: Manchester City, Torino, West Ham and Burnley. 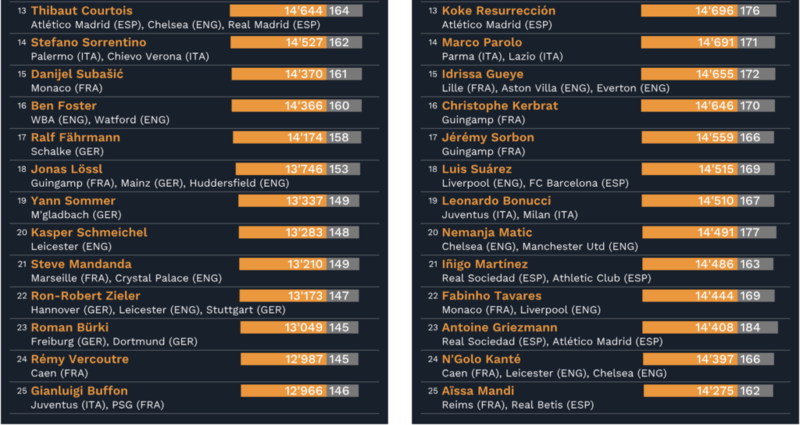 Only five forwards are in the top 25 list: Lionel Messi, José Callejón, Romelu Lukaku, Luis Suárez and Antoine Griezmann,” say the report authors.